Brigida Villatoro has been working in the Baxter Clinic for 11 years now. We are excited for everyone to get to know her!! Brigida first came to Baxter 12 years ago as a participant in the nutrition program with the desire to improve the health of her family. 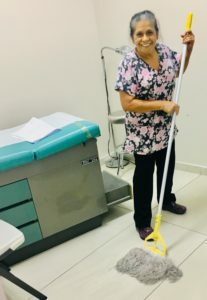 During her time in the program, many of the participants were presented with the option to volunteer cleaning in the clinic. Among the many women who agreed to come and clean, Brigida was the only one who showed up. By the end of the one year program, her hard work and consistency gave her the opportunity to work for the clinic full time. 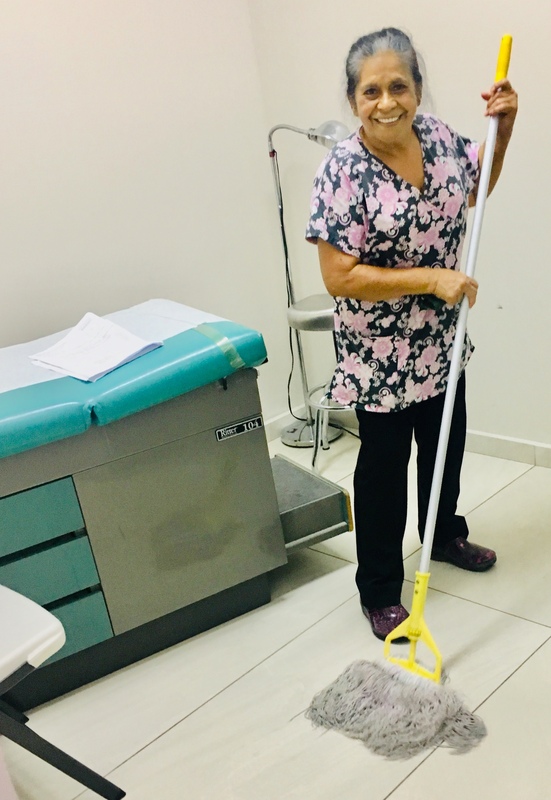 Since then, Brigida has been the sole person responsible for cleaning all of the facilities in relation to the clinic. Upon joining our staff, Brigida began attending the daily devotional and hearing more about God’s Word. 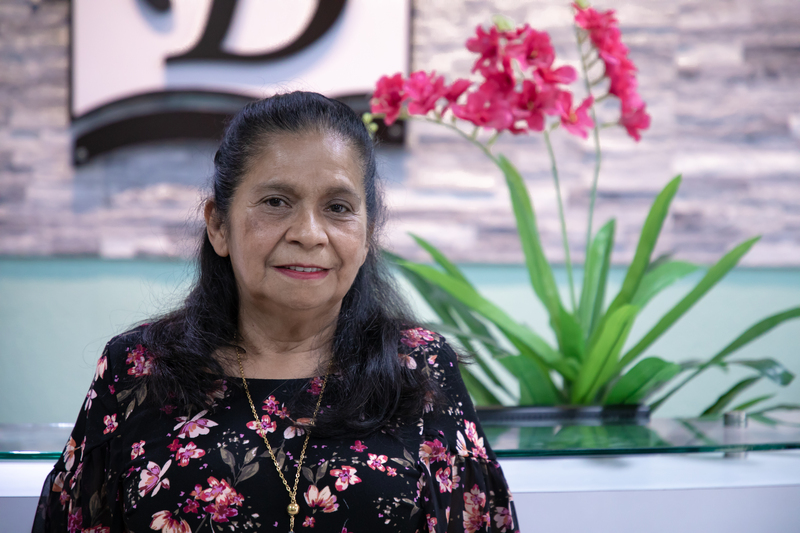 With many thoughts on her heart and positive influence from fellow coworkers, she soon decided to be baptized and has been a member at La Vega church of Christ since. Brigida is thankful that she gets to work alongside coworkers who exemplify God’s love. Here at Baxter we are equally appreciative that we have her on staff and alongside us as a sister in Christ. To know Brigida is to know God’s love in its purest form. She always greets with a smile, a warm hug, and a sincere inquiry of life. Brigida takes time to love people amidst her job making it easy to think of her as we read 1 Corinthians 16:14, “Let all that you do be done in love”. We are proud to have staff that not only works hard, but does so with the love of God in their hearts.